Apple has just unveiled the new iPhone 7 at an event in San Fransisco. 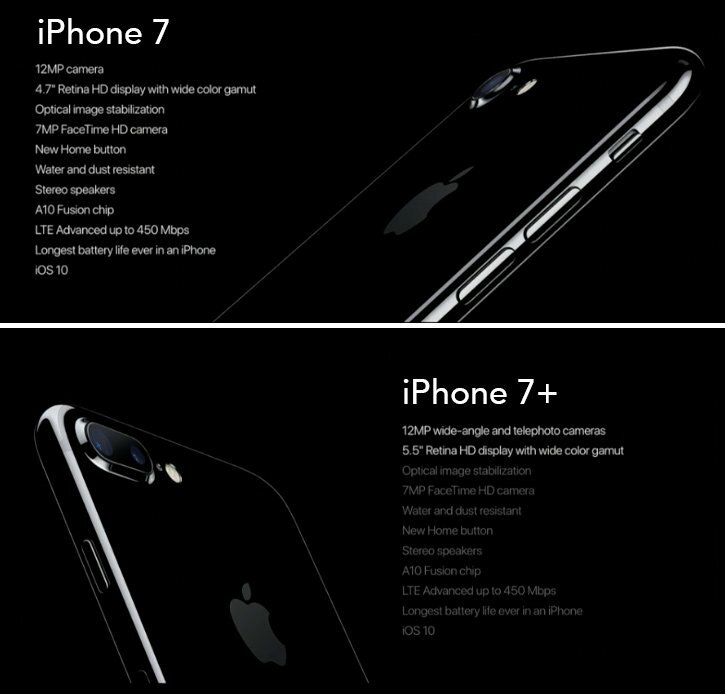 Here are all the new features of the iPhone 7. It is water-resistant (IP67), like several Samsung and Sony phones (IP68). The iPhone 7 has the same 12-megapixel camera, but adds a larger sensor and optical image stabilization keeps images steadier than before. It has a 7-megapixel front-facing camera, up from 5-megapixels on the iPhone 6S, and auto-image stabilization like the back camera. The iPhone 7 has now got a second speaker, giving it stereo sound capability. One is at the bottom, the other at the top. Twice the volume as the 6S, with increased dynamic range. It has now got an even greater battery capacity for enhanced talk times. Infact, iPhone 7 and 7 Plus have the longest battery life ever on an iPhone. The iPhone 7 plus comes with two cameras, one being a wide angle camera and the other one being telephoto. The telephoto camera has got physical zoom capability. There’s also a new photo style called “portrait” that allows you to create a depth effect. As far as the screen is concerned, the iPhone 7 has an amazing screen that is 25% brighter, wide colour palette and features 3D touch capability. Apple is going ahead with the plan to have wireless headphones as rumoured earlier. They are called AirPods. Apple is killing the headphone port. 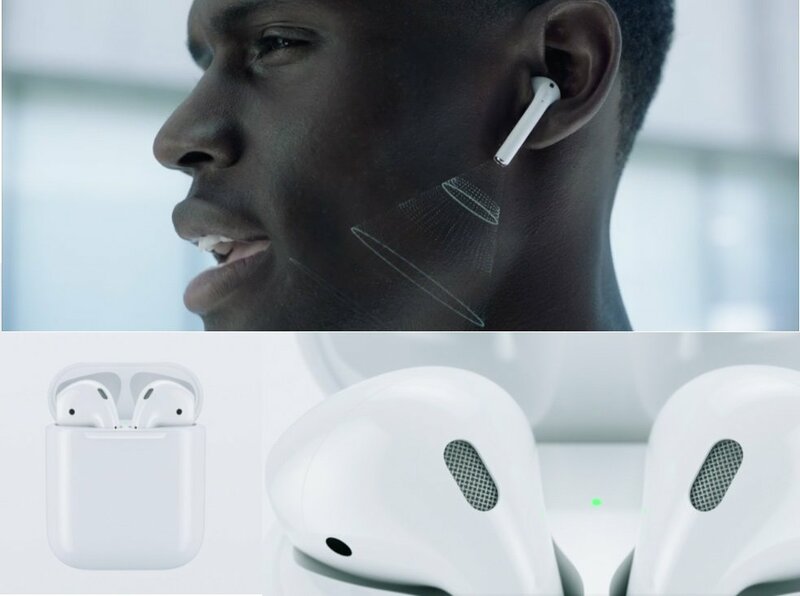 Users will now connect their Earpods via the lightning connector. Apple will ship a dongle in the box to ease the pain for those who want to use the 3.5mm headphones. Here’s a summary of all the features. You can get the new iPhone 7 in Jet Black, black, gold, silver and rose gold colours. iPhone 7 starts at $649, storage space starts at 32GB and goes to 256GB. The iPhone 7 plus 7 starts at $769, storage space from 32GB to 256GB. Preorders start on September 9th and shipping will start on September 18th. So are you buying the new iPhone 7? do it has a processor and RAM? !